to boost and manage creativity & innovation. We change the way you see, think and do things. WAKE UP is an unexpected creativity stimulation. It’s an experience that will radically change the way you see, think and do things. 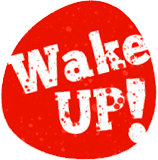 WAKE UP jostles, surprises and awakens minds in order to unleash team creativity. People creativity within the company is under employed. Those who highlight it make a difference. But creativity can’t simply be “declared” by the company. You must organise it, follow a process and comply with conditions. Wake up team and individual creativity in your organisation! Why trying the Wake up Experience? Do you remember the last time you took a plane or a taxi? Your last visit to the bank or supermarket? Last time you bought shoes or jeans? Remember anything particular? Any detail? None? Why nothing really memorable happens? Because (most of times) products and services are sold without emotion. 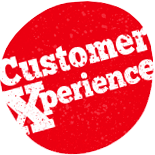 More than « buying », customers want to live great experiences... right NOW ! Creating experiences is why some companies stand out and succeed. Same for your employees. More than « doing their job », they want to live intense, exciting, inspiring professional experiences… NOW! Good news : Experience is possible everywhere, everyday for everyone. Discover how to create unique and memorable experiences. Get on stage : create and live a real experience in 30 minutes, right now! Being a good manager is not enough. Today you must stand out. Being "punk" is dangerous. Provocation can be fatal. What if you mix these opposite behaviours? Punk Management is a shift from different postures - Punk and Manager - to generate creative ideas and turn them into innovative solutions. You have to combine « TRANSGRESS & PROGRESS ». As a "Punk" you transgress conventions, habits, codes. As a Manager you make people and business progress. Be Punk Managers. Make your team live a unique and inspiring experience. Back to management : beware the traps! The best way to really learn from failure and success is to valorize people experience. 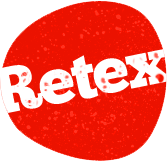 RETEX is a structured and creative process to generate improvements everywhere in the company by using Return on Experience (successes & failures). A transparent canvas gets closer to employees’ reality: what sticks us in the past? What to boost right now? What has never been done? Etc. RETEX is a more effective way to analyse practices, attitudes, feelings and detect opportunities about customers’ needs, processes, employees, culture, etc. The goal is to catch what is invisible in data, charts, meetings and day to day work. The RETEX approach is especially valuable for business events such as fairs and trade shows, marketing campaigns, annual conferences, product launch, etc. Warning: action is a must! What must be done now? people – Animation in English, French and/or Dutch. The Destroy approach is about AGILITY : are you able to change when needed ? First, you’ll challenge your business activity with 30 cheeky questions: what to destroy (past), optimize (present), invent (future)? Obviouness will be jolted. New connections will be created. Unexpected possibilties will be explored. Bold propositions and novel ambitions will emerge. Then, you’ll update your business model and strategy with clarity and unity. All must be clear and everybody must be aligned on the destination to reach. New challenges will be tackled with a renewed strategy. A fresh vision of the future will be shared. 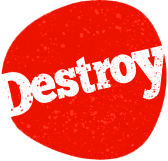 Destroy: what to let go from yesterday? Optimize: what to manage better today? Create: what to invent for tomorrow? apeople – Animation in English, French and/or Dutch. 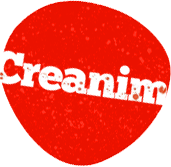 Creanimation is for people and managers who animate / facilitate meetings, brainstormings, group discussions, strategic thinking sessions and trainings. Useful and surprising techniques are provided to make your meetings dynamic, productive, interactive, fun and efficient. Participants will facilitate a group discussion in real situation. They will address assigned topics. Other attendees will play specific roles (based on the 7 dwarfs of Snow White). Ideas are generated to stop boring endless conversations and make your animations attractive! How to commit people and create valuable interactions? Sometimes we don’t have time to be creative. Day to day activities interfere (meetings, emails, deadlines, last minute priorities, etc.). Minds get frozen. Routine become soporific. The QuickWins approach provides small creativity doses without deeply challenging established strategy, models and processes. The creative tools generate pragmatic improvements instead of « jackpot ideas ». The techniques are applied individually or in groups, in 15 to 60 minutes. A concrete action plan is built by the team to implement ideas in 3 days, 3 weeks or 3 months without assigning heavy resources. What interferes on your creativity? How and why? 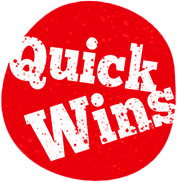 Start with a first quickwin right NOW! people – Animation in English, French and/or Dutch. Get concrete results the next week. More than a job, people want to live exciting experiences… NOW! Motivation, commitment and loyalty are not created with carrots anymore. Employees and managers must be united around inspiring projects. disrupt traditional way of thinking, explore and create new possibilities. more motivation, more collaboration, more value. We provide a clear structured process to balance originality and relevance. Amazing techniques are used to produce ideas and build solutions. Too many ideas end in frustrations. Innovation is action. We organize creative collaboration until implementation. We make it possible. You make it happen ! where we get our ideas from. Hi there, I’m Alain, crazy passionate about creativity for more than 20 years. My job is to make people and business creative. I launched Creativores in 2008 with a clear will to stand out. I speak and lead assignments about creativity, innovation, Punk Management, daring, change, disruption, creative strategy & corporate culture. 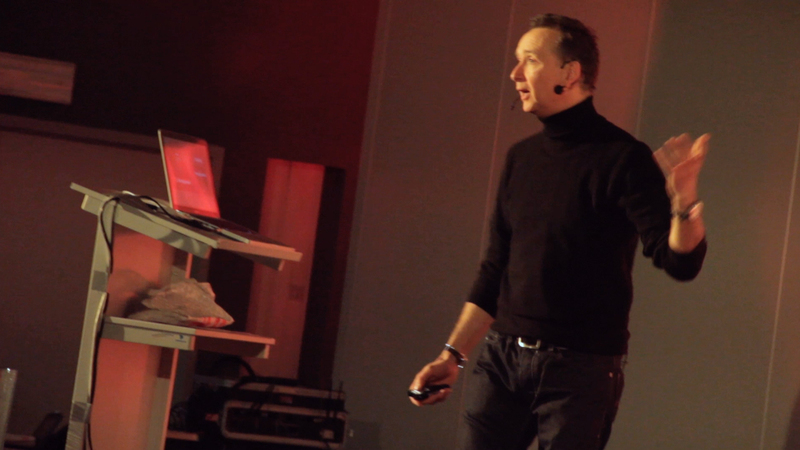 I also conduct awesome training experiences (seminars/ workshops) internationally (+10 countries). I work with terrific partners (English, French and Dutch speaking). They really rock! We feed you with original and meaningful insights, something really new. We speak about people who transgress conventions to create progress. We call them Punk Managers. And you can become one of them! Thousands of people attend our creative experiences each year. You should try… contact me. Alain is a resonating keynote speaker who shares his passion with students at ICHEC and EPHEC in Belgium. He studied Creativity and Innovation at University of Psychology (2007 - Paris) and International Marketing Management at EPHEC (1994 - Brussels). How to Push Your Team to Take Risks? 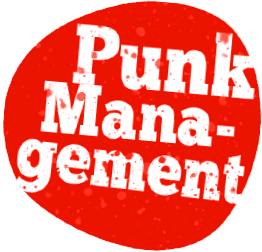 The Punk Management Experience has federated people from different departments around a common goal. It gave teams boldness to free their creativity and lead them very far from what they used to do. Barriers fell and creative skills were boosted. Original and concrete operations emerged. Some team members became creativity ambassadors by reproducing creativity techniques within the company. Punk Management is an inspiring experience that allowed the team to leave its conventional patterns. New paths have been explored with a lot of fun. The process is well driven by a facilitator who shakes minds, challenges obviousness and pushes you out of beaten tracks. A great team experience, which gave birth to many more concepts than expected! Very few people are able to cultivate the difference to become unique. I looked for someone able to coach one of my key managers in this way. I asked Alain to teach him how to shake people minds and create value while remaining relevant, professional and solution focused. 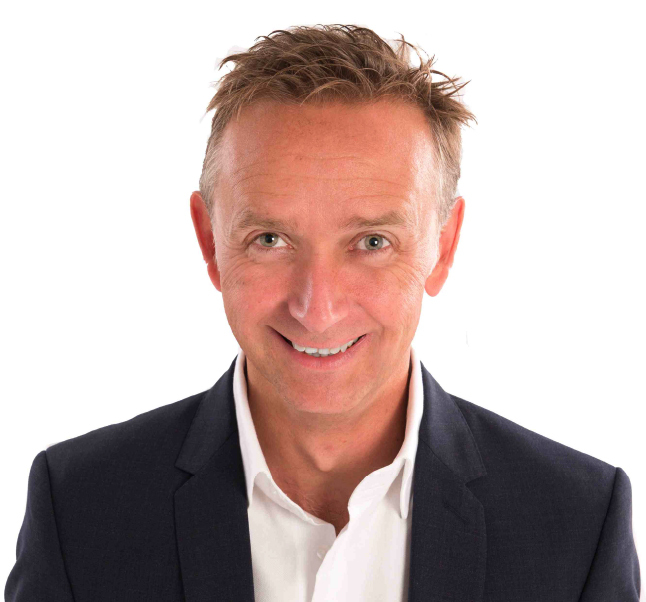 Honesty, Alain succeeded to make him grow in the right direction with excellent assets for his professional life. And I now have the right profile with the right skills for this key position. It’s great adventure to explore the limits of imagination and discover unexpected possibilities. Thanks to have moved us out of comfort zone and made us think in a different way towards our issues. It was a rewarding journey, full of emotions! How to produce innovative and relevant ideas if you think as everybody does? That’s the philisophy Alain shakes by using effective techniques to reach concrete results. Punk Management is not only a professional training but also a rewarding human experience. It’s a new mindset, opening doors to an unexpected world full of outstanding opportunities. I've hired Alain for an international Punk Management mission. We traveled with Alain in 5 different locations across Europe and worked closely with him and our team during 3 months. He was even considered as part of the team! We really appreciated the creative approach of Alain that allowed the team to completely open up for new ideas but also reconsider what had been achieved until now. Beside helping us redefining our future strategy, Alain definitely contributed to generate more cohesion and communication within the different team members in a decentralized structure like IP Network. AUDACITY We dare going where others step back. We sometimes do crazy things. You should try! FUN People are tired of being told what to do. Fun leads people further. PASSION We work together to create “fantabulous” experiences. AGILITY We’re agile. It’s a mindset. We embrace change. We don’t fight it. TRUTH No charm. No cheat. No fake. We say what you need to hear, not what you want to hear.